7 Days Cash Need To Sell Your House Fast? We Buy Houses! Don’t Rush Into Listing Your Overland Park House! Before Committing to An Agent, Get Our No-Hassle, No-Obligation Offer! Traditional methods of selling can be time-consuming and stressful. You might incur many costs and fees you weren’t prepared for. When you work with us, you will save money! You will never be faced with any hidden fees or charges. What we offer is what you get! We don’t care about what situation you are facing or the condition the house is in. We will buy a run-down property that needs repairs, and we will pay an excellent cash price! You don’t have to list and wait months to find a buyer. We are ready to buy now! There isn’t a situation that we can’t help you with. Behind on payments? We can help you save your credit! Getting divorced? Sell fast to put the past behind you. Do you need to upgrade or downsize? sell now! You don’t have to live in a house that isn’t right for you! Are there liens against the house? We can help! Repairs you cant afford to make? You don’t have to! We buy as-is! Do you own a vacant house? Tired of paying property taxes? The faster you can sell, the less of your hard-earned money goes towards paying for the house. Selling immediately as opposed to months down the road will save you thousands in cleaning, utility bills, homeowners insurance and property taxes. We can close in around 7 days. The longer you hold onto a home, the more you are paying for it. Once you have decided to sell, do it as soon as possible! In addition, we will not ask you to make repairs or even clean up. Our goal is to help you out of a situation you no longer want to be in. You don’t have to feel stuck with your house any longer! 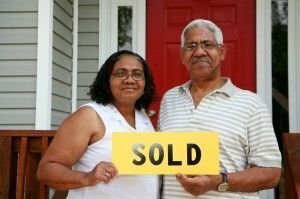 The Sierra Group LLC is purchasing houses right now in Overland Park and the surrounding areas. We will work with you to create a win-win situation that you will love! There is never any hassle, risk or obligation! Find out what we are able to offer you before committing yourself to an agent! Easy Peasy Lemon Squeazy! Sold and Closed in 5 Days! Thank you!